Sorry, we are currently sold out of 'Magical Chinese Jade Dragon & Phoenix Pendant'. Please check back later. Sorry, we are currently sold out of 'Lucky Jade Chinese Zodiac 12-Animals Pendant'. Please check back later. Unusually Large Wolf's Tooth Pendant - Wicked! Sorry, we are currently sold out of 'Majestic Jasper Firebrick Red Heart Pendant - Large'. Please check back later. Sorry, we are currently sold out of 'Arabian night-Blue & Gold Lapis Teardop Bead'. Please check back later. 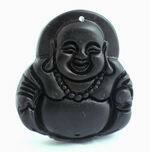 Sorry, we are currently sold out of 'Unusual Happy Buddha Tektite Pendant'. Please check back later. Sorry, we are currently sold out of 'Enchanting Olive Green Serpentine Jade Pendant'. Please check back later. Heavy Midnight Blue Chrysocolla Pendant - Large! Sorry, we are currently sold out of 'Large Heavy Vintage Quang Yin & Butterfly Jade & Brass Pendant'. Please check back later. Pair Large Carved Fire Engine-Red Cinnabar Chinese Lion Beads - Unusual! Sorry, we are currently sold out of 'Pair Large Carved Fire Engine-Red Cinnabar Chinese Lion Beads - Unusual!'. Please check back later.